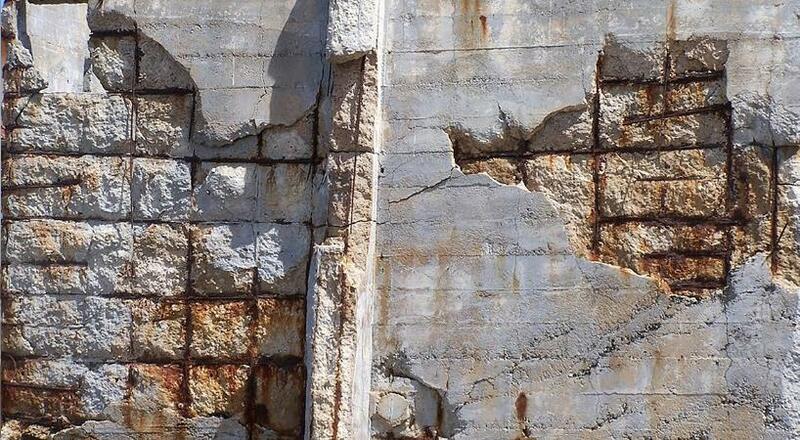 With problems of corrosion in existing concrete structures likely to increase, and the high cost of maintaining aging infrastructure, the need to understand the mechanisms by which deterioration occurs and what can be done to lessen the impact has come to the fore. 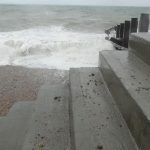 This is no more apparent than with concrete used in aggressive environments such as sea defence and coastal protection. Marine concrete is subject to some of the harshest conditions on the planet, usually in the most critical of applications, where life-span and structural reliability are optimum factors. The concrete is subject not only to chemical attack from seawater but also from continual impact from waves and the abrasive action of wave-born sand and shingle with the ebb and flow of the tide. 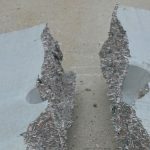 This impact and abrasion can be very severe, leading to spalling of the concrete and corrosion of the structural steel. Eventually this could result in structural failure. The use of fibres will reduce concrete permeability, as fibres reduce bleeding and hence segregation in a concrete mix. 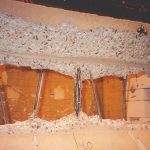 The significant improvement in the reduction of plastic shrinkage cracking provides a more durable concrete, which in turn reduces the susceptibility of chloride attack. The world pours approximately 5 billion tonnes of concrete a year, almost 1 tonne per person, making it the most common material in modern construction. With estimates putting the value of the infrastructure and built environment at half of the national wealth within most European countries, the rate of degradation of the built environment is of massive economic and technical importance. The corrosion of reinforcement in concrete is the single most important cause of concrete structures needing repair. In the UK alone, it is estimated that these cost over £500 million each year. 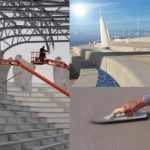 In marine environments, saline and water borne chemicals, as well as the continual impact and abrasion of waves containing sand and shingle, provide an aggressive environment, threatening the integrity of concrete. In such conditions it is essential that the concrete should be of high durability and the lowest practicable permeability. In recent years, extensive research has shown the tangible benefits that polypropylene fibres can bring to ensure this. The significant increase in resistance to abrasion shown by the inclusion of monofilament polypropylene fibres is due to the way that the fibres control the bleed water migration in the fresh concrete, reducing the possibility of segregation of the fine cement and sand particles. This gives a more efficient hydration of the cement which, when combined with the improved bonding of the cement matrix, achieves a tougher, more durable concrete surface. In addition, the surface will have a lower water:cement ratio than non-fibre concrete, thus increasing abrasion resistance. Today, concrete is used in a wide range of applications, forming the structural body of quays, harbours, breakwaters and coastal protections that provide sheltered water in combination with other forms of natural defence, as well as the hard standings from which much marine industry is undertaken. Steel reinforcement, often used in such structures, is in a stable condition in the alkaline environment provided by concrete due to the protective oxide layer that forms on the steel surface. 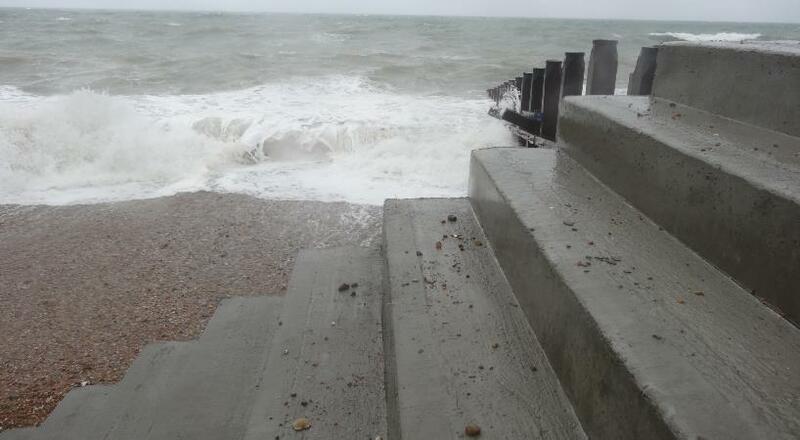 However, due to continual impact from waves, the abrasive action of sand and shingle and freeze/thaw conditions, concrete can spall, removing the protective layer and exposing the reinforcing steel to corrosion. This, in turn, can lead to the possibility of structural failure, huge economic costs and potential danger. Two ongoing projects that provide compelling case histories for the use of monofilament polypropylene fibres in concrete are in the north-west of England: the Blackpool Council Central Area Coastal Protection Scheme and the Wyre Borough Council Cleveleys Coastal Defence Scheme. 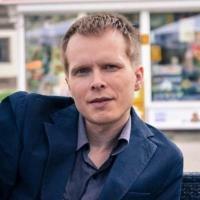 The three-year contract will see the old structures replaced with over 100,000m3 of concrete. The ready-mixed concrete is supplied by Tarmac both for the poured in-situ work and to the precast contractors. The main contractor is Birse Coastal, which is part of Birse Civils Limited and is currently the largest UK coastal contractor. Technical Business Manager Brian Farrington has been involved with ADFIL Construction Fibres, also in Blackpool, prior to these aforementioned contracts; namely the Blackpool Gateway Project and the St Stephens Avenue Scheme, Blackpool. Following extensive testing, Fibrin XT was added at 0.91kg/m3. The fibres improve the durability of the concrete and also are a replacement to air entraining agents. 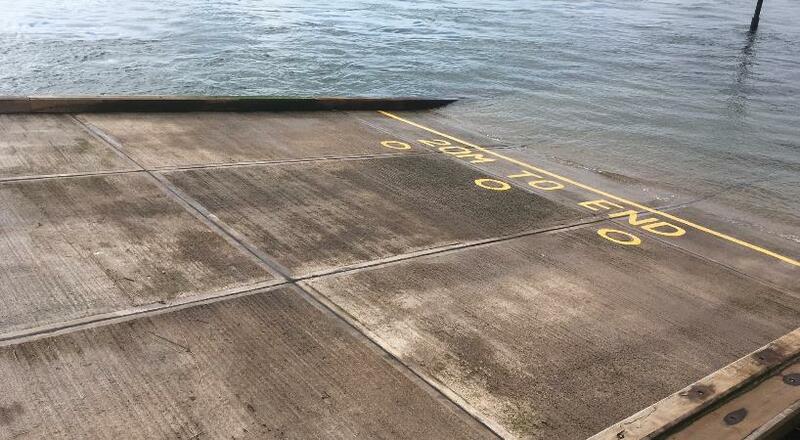 Independent tests have shown that marine concrete enhanced with Fibrin fibre has a 40% increase in resistance to abrasion and a 400% increase in resistance to impact, increasing the concrete’s durability to chloride attack, the main cause of deterioration in marine conditions. ADFIL’s Fibrin range was specified for the works due to its proven ability on several marine projects around the UK, including Ovingdean and Brighton Marina in Sussex, Bridlington Promenade, East Yorkshire; Montrose Bay Coastal Defence, near Arbroath; and Skegness Coastal Defence Project, Lincolnshire. Specially produced multilength fibres with a diameter of less than 30 microns have been added to the concrete on these contracts. Fibrin is theproduct of a patented innovative extrusion process using a special blend of chemicals, which allows polypropylene beads to be stretched to diameters within the range 5–30 microns. Concluding remarksDue to the growing awareness of the durability and cost benefits that monofilament polypropylene fibre can bring to concrete used in the marine environment, the global demand for such concrete mixes continues to rise sharply, with significant research and testing programmes continuing to further develop the leveel of protection afforded to treated concrete and its uses.